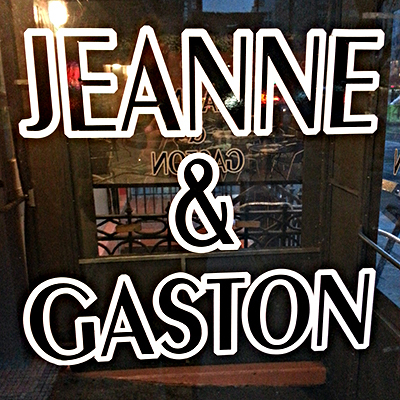 As I am trying to do more food related stuff in New York City, I accepted a press invite to Jeanne & Gaston. I never heard of this place. It’s on 14th. 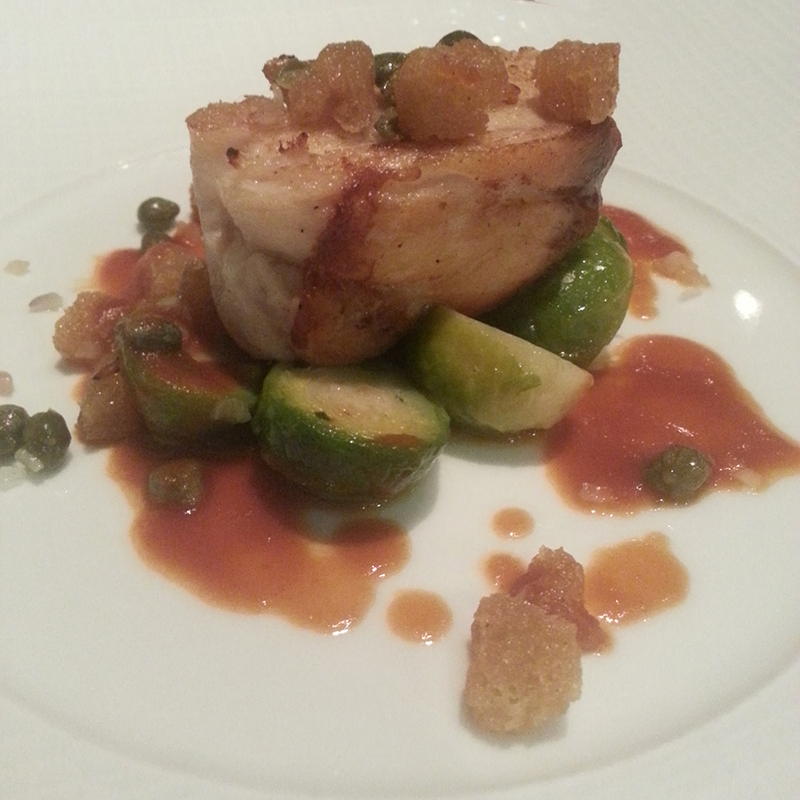 14th is a weird place to have a high-class, smaller restaurant. You wouldn’t think it would be a weird place to have a restaurant, but it is. I’ve been to two of these in the past year or so, and it’s only weird because of the traffic. Once you get inside, it’s all the same. The one interesting physical thing about this restaurant is that their garden is quite secluded. The garden wasn’t open when I was there, but it looks like a great place to have a quiet dinner or brunch. The buildings around the garden go about four stories up on each side with no windows. It just looks like an interesting little secret place. I’m curious to see how it looks in the spring. 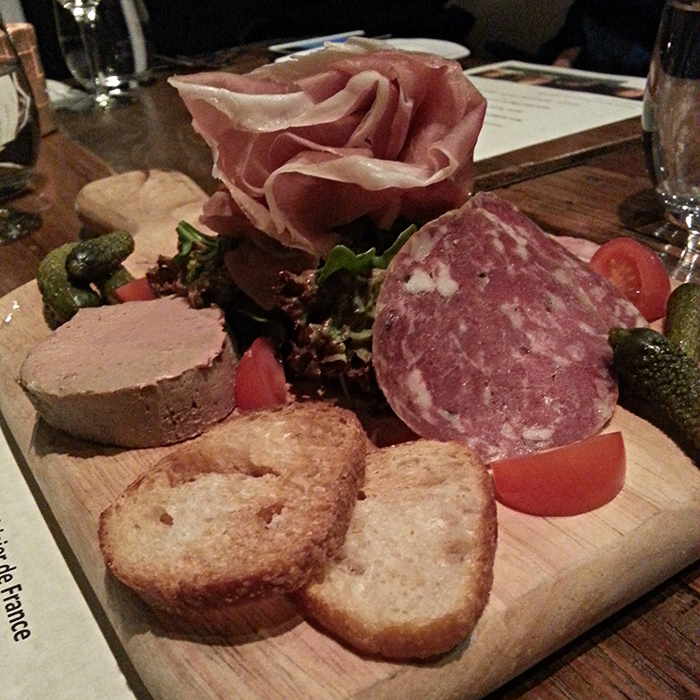 My favorite thing was the chicken liver mousse. Reminded me of BLT Prime. 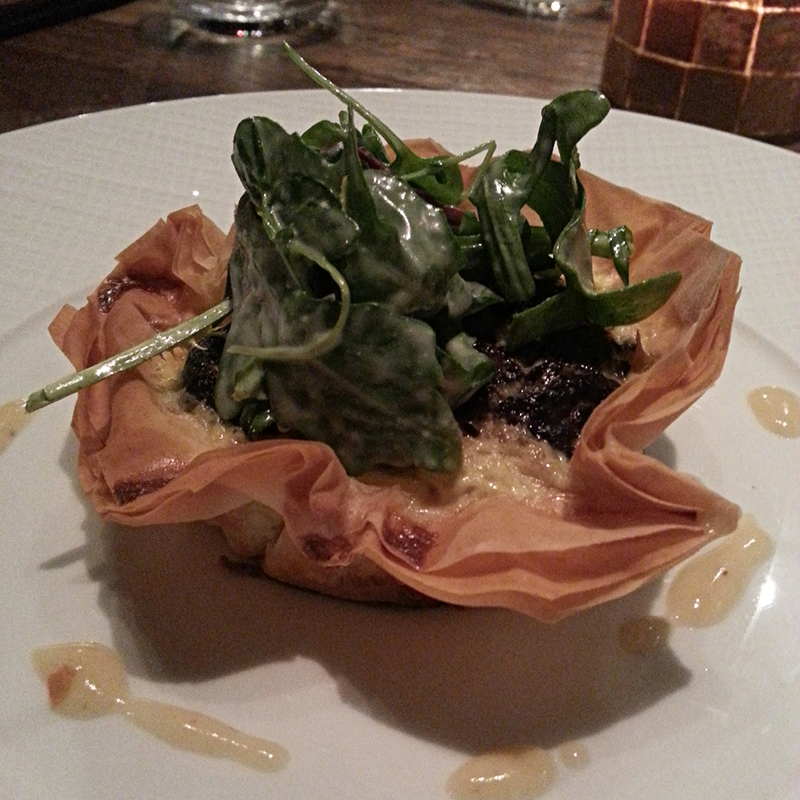 The Quiche was made with phyllo dough – very light. And there were these little croutons that came with it. I wanted more croutons! 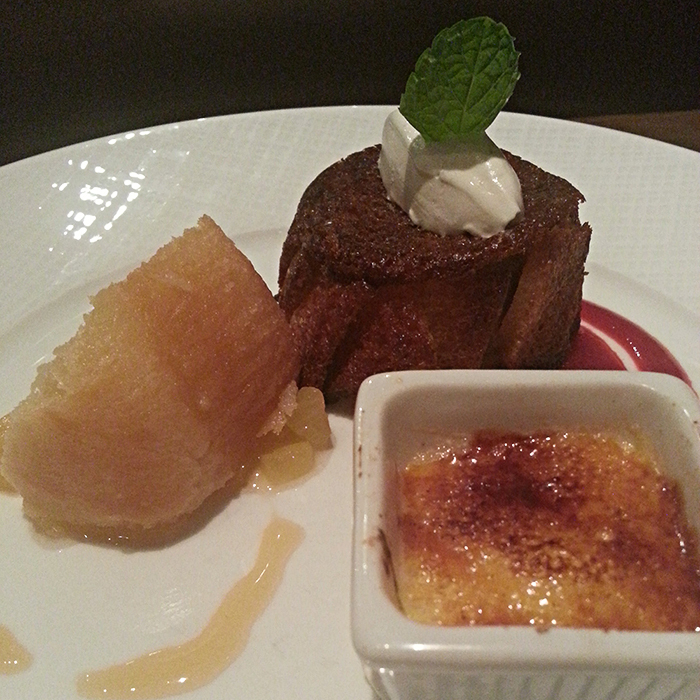 We were having a conversation at the table that all desserts should come like this. You always want to save room for dessert but never have any, and when you get there you still pick one but you can only pick one! 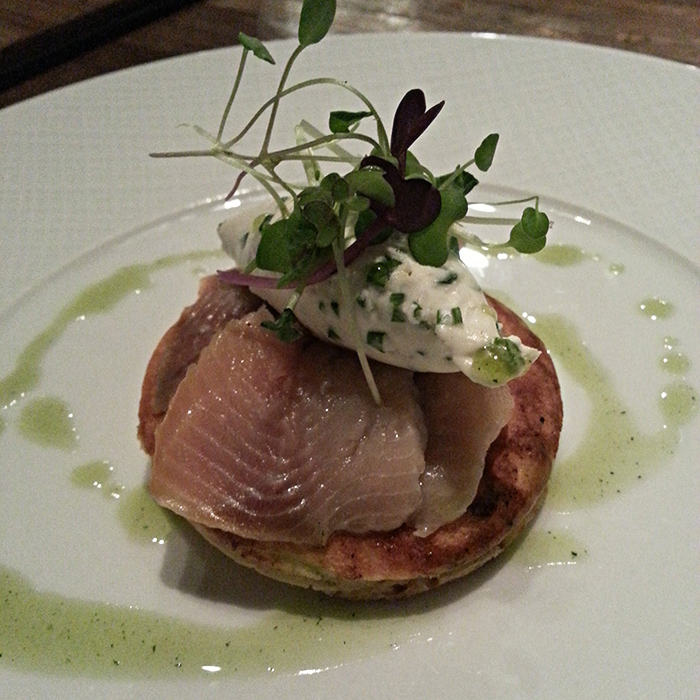 Tapas dessert bars, the new thing in New York coming to a fine restaurant near you.